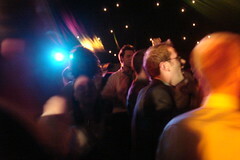 Soul, along with its sub-category, Motown, are great genres for wedding dancing music. Older guests will find your soul wedding songs nostalgic and I think the popularity of Cee Lo Green’s F**k You is proof of the recent revival in the popularity of the soul sound with a younger generation. I always like starting the reception dancing off with some soul and motown and I think that you should encourage your DJ to do the same. A 5-10 song set of soul music is usually is enough to convince those who are eager to get on the dance floor to start dancing, and it is great background music for those guests who want to head to the bar after a long dinner. Below are 10 of my Motown/soul favourites for filling your wedding reception dance floor. Click on any of the songs listed below to hear the song. Leave a comment with your favourite soul song. I read every one.